Federal agents said they've located a man who associated with the Manhattan man who sped a truck down a New York City bike path, killing eight people and injuring a dozen others. 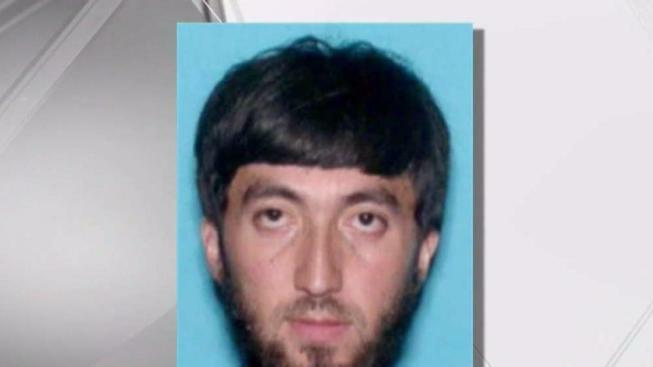 Earlier Wednesday FBI released a wanted poster for Mukhammadzoir Kadirov, but authorities said at a news conference about an hour later the man had been located by federal authorities. "We have found him and we will leave it at that," said Bill Sweeney, the assistant director of the FBI. Law enforcement officials said that the man is known to have been in contact with Sayfullo Saipov, the man charged in Tuesday's attack. It's not clear if Kadirov knew about Saipov's plans, but they said there is nothing that indicates he may have been involved in the attack. Federal agents are also interviewing Saipov's wife, but they said the woman has been cooperating with the investigation. It comes a day after police shot and wounded Saipov, 29, as he ran through traffic on West Street with a pellet gun and paintball gun after crashing a Home Depot rental truck into a school bus. Saipov is also accused of driving that truck down the Hudson River Greenway bike path, hitting and killing five Argentinians celebrating an anniversary, a Belgian national, a New York City man and a New Jersey cyclist. Saipov allegedly left a note in the truck that translated to "ISIS endures forever," though authorities and Gov. Andrew Cuomo have called him a "lone actor." If you know anything about Kadirov, call the FBI at 1-800-CALL-FBI.